This is an archive of past Lore talk:Dragon Alphabet discussions. Do not edit the contents of this page, except for maintenance such as updating links. 7 Symbol for Q discovered through demo video (Quakecon playthrough). 16 I think i found another letter for a "K"
In an interview with gameinformer, Todd Howard mentioned how the language of the dragons can conjure magical effects: "Classically you have a dragon that breathes fire. Well, now our dragons are speaking this ancient language, this dragon language that creates fire, or creates cold, or creates wind, or slows time." No to merge. I created two articles because it's clear this is going to be a major feature of the next game, and having only one will lead to a huge page: the Dragon Language page is already likely to get pretty large in any case from what we hear. Judging by previous games, the way the player will encounter most words is in the English alphabet (ie, "Dovahkiin" rather than DOVbKiN. Having one page that lists the words encountered provides an easy resource for translation. Having a separate page for the alphabet keeps it apart for those people wanting to translate actual inscriptions or in-game texts. P. 56, left column: It cries out a word of power in draconic, strengthening it for the battle to come. P. 58, left column: A word leaps out from the draconic text. and "They are all translatable [from draconic to English], like 'strong wind of the gods,'" Howard details. WHY DOES EVERYONE ALWAYS THINK AETHERIUS IS HEAVEN?? I don't know where you get that, but we have references for the fact that when you die you go to Aetherius. "We have fulfilled our last duty. We go now to Aetherius without shame. Farewell." - Undead Blades during Blood of the Divines. "Soon we will all finish our long-delayed journey to Aetherius, and Sir Berich will be among us, as of old. Thank you." - Sir Amiel. "Thanks to you, that all is behind me. Sir Caius and I will go to Aetherius side by side, as of old. The gods are truly merciful." - Sir Berich. Symbol for Q discovered through demo video (Quakecon playthrough). In part 2 on YT, he learns the last word for Lightning Storm, Qo, revealing the Q, which I have carefully composed from other symbols. It stands to logic that the Dragon language is a cypher of English. There's just no way Bethesda would bother pulling a Tolkien here, so they went at it like smart folks. The key here it not to "look at the letters" and think "What English letter is this?" but rather "what combination of letters is this" (or put differently sound). Nearly all the dragon words have the same number of letters as the English ones, and nearly all have the same number of syllables. It's pretty obvious that Draconic aL/ AAL = English "ay", and in those you'd have Draconic V/D/R = English B/P/R. Although it doesn't really work for PaL/PAAL (foes) and NaL/NAAL (by). You can do this for other things too. So aN = out (a = ou, N = t ?). However it doesn't work for KOGaN = blessing (although if you replace "blessing" with "shout" you get "Dragonborn for your shout we pray" which would make a whole lot of sense... but there's already ZaN for that...) and aN = a. But doesn't work for ViNG = Wings. I've just found a word wall with the symbol and have come to the conclusion it's an "X". The wall reads: "HET NOK KOPRaaN DO / IGLIF iiZ SOS WO GRIND OK OBLaaN / NI KO MOROKei VUKeiN NUZ ahST / MUNAX HaaLVUT DO LiiV KRASaaR"
It translate to "Here lie body of / Iglif ice blood who met his end / not in glorious combat but at / cruel touch of withering sickness"
I think we're going to have to switch to an image of the Dragon text, instead of using the dragon font. We've already had two editors try to "fix" the sections using the dragon font -- which probably means there have been hundreds of other readers who've looked at the page without installing the dragon font and scratched their heads over what's going on. I'll leave it to wiki veterans to figure out weither it should be on the page or not, and then crawl back to my Lore Forum hideaway. I've been doing some work on this translation. MAHLaaN DROGGE - Mah translates to "fall", while Wahlaan is "raise", so this might be something like "Fallen DROGGE"
ALDUIN VOKRii - Vokun is "evil" and Vokul is "shadow", so Vok might be related to "black" or "dark". Considering the lore around Alduin, Vokrii must be something regarding his dark nature. Considering the context on which the tablet is found, the first part could be something along the lines of "here lies the fallen DROGGE", in which DROGGE might be an ancient Nord designation. 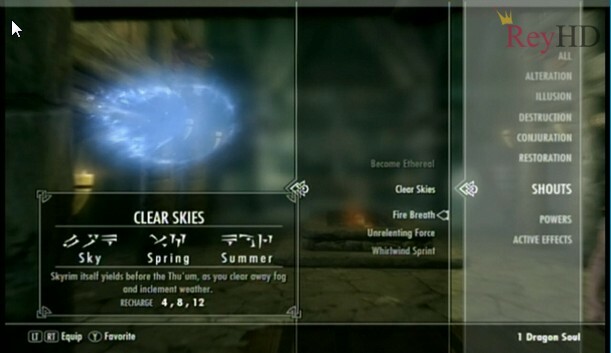 The second part seems to be an indication as to the source of DROGGE's power, that comes from the darkness of Alduin? In addition to everyone's contribution to the knowledge of the alphabet, I'd like to point out that in TES V: Skyrim, there is a 'Dragon_script.ttf' in the .bsa files embedded in 'fonts_en.swf'. If you wish to download the extracted .ttf file you may do so here. extracted\converted to truetypefont (which you can install on your computer, type in caps), has all the letters and can be used as any other font. I think i found another letter for a "K"
that made most sense to me, i saw that in word number 5 in the first line and in word number 2 and 5 in the second line the last letter has to be a "K", maybe there are 2 letters for it? * Note that DROG translates to "Lord", this may be a form of that same word. Since DOVAHHE translates to "Dragons", this too may be a plural form. Also, DROG is close to the Norwegian word "DROTT". meaning "King" or "Noble" in ancient viking language. ** Also note that Vokrii can be broken into Vo and Krii. Vo means "Opposite of.." and Krii means "Kill" which has a strong relation to Alduin. † Note: looking closely at the second letter of the word MOHLaaN. It appears to me to be the letter "A" instead of "O". If spelled MAHLaaN it could be interpreted as "MAHL" := fallen (MAH is fall/fell). Taking a big leap one could translate UN MAHLaaN DROGGE as "fallen lich lord(s)". Vokrii is most certainly un-kill, or in other words survive, invincible, immortal or even inevitable. I agree that DROGGE is most likely "Lords". I also agree that MOHLaaN is in fact MAHLaaN, thus I'm changing the spelling on the article page. "MAH" = fallen, and "LAAS" = life, so one could suggest that "MAHLaaN" = undead, since if it was supposed to be dead they would've used "DILON" instead. Thus, "MAHLaaN DROGGE" most likely means "undead lords", which can in turn be interpreted as liches or Dragon Priests. It seems that this text is a kind of Dragon epitaph. The text might follow a set of rules for epitaph. It has four lines or stanzas which can be grouped into two. I propose that the first two stanzas describe that it is an epitaph and tell who is deceased and second two tell the reason of death or a wishing of resurrection. First line "HET NOK" which is a declaration of "here lies/lie..". Are these always stones of dragons or can it be a mass grave of humans? If there's one dragon here, he could be called "UN, the lord of the undead/everliving lord". Dragon language has no plural/singular distinction, but maybe the UN here could refer to "HET NOK.." or "here lies.." formula and if it's a relative plural pronoun, then it could spesifically refer to mass grave. part of the word "Laan" can mean a finite, unchanging and unchangeable condition/stage. Word WahLaaN thus has the meaning "built for eternity" (it is written on the monuments, tombstones and memorial stones, which are usually "built for eternity", "built to stand forever"). Word OBLaaN in the dictionary is translated as "end", but in context meaning "death" as "the ultimate end of life." word ERei can mean simple "but" - Here lies our fallen lords but power of Alduin revive/resurrect (them). I can't upload a screenshot because I'm playing on the 360. During the survey of files model.NIF I found six signs, which are not used in the game. They contain many unknown words. ZeyMahZIN - ZeyMah=brother ZIN=Honor -> brotherhood? UDERFRYKTE = Udyrfrykte from Bloodmoon? This page was last modified on 2 December 2013, at 03:35.